The Miniature Schnauzer is also known as the Zwergschnauzer (Dwarf Schnauzer in English). Basing on the name of this breed, you know that these are small dogs. But, don’t you dare call them toy dogs because they don’t act like that. The Miniature Schnauzer may look like a toy or lap dog but these feisty little pups were originally bred to be mid-sized working dogs specifically for the purpose of ratting, herding or guarding the perimeter of the farm. Through selective breeding, these little dogs shrunk further until you have the present incarnation of these loveable pups. 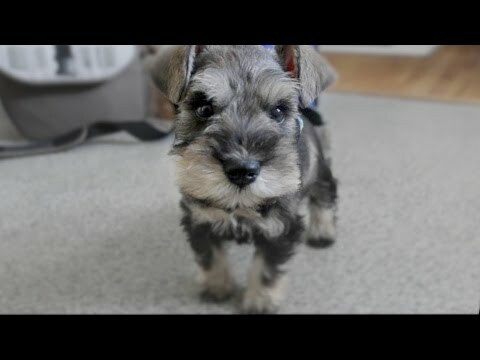 Miniature Schnauzer’s come in different colors. They can be black, white, a combination of black and silver or salt and pepper. There is a standard grooming practices for The Miniature Schnauzer so if you’re planning on keeping one, you’ll be making several trips to the groomer who knows how to give your pooch the proper haircut. Miniature Schnauzers have very varied personalities. They can either be overtly playful or aloof. One thing’s for sure though, these dogs know how to capture the hearts and minds of their audience. Watching a Miniature Schnauzer saunter to the center stage with its elegant manner of walking is a sight to behold! These scrappy little fellows are perfect for families because they love to always hang around any family member and will show utmost loyalty by following anyone around. A little care should be given though when there are strangers at the door because these dogs still have the instinct to guard and protect their home in their DNA. Properly introducing visitors to these pups should be practiced at all times to make them at ease in social situations. These little guys are quite healthy as long as you feed them properly and give them a little exercise every day. Well cared Miniature Schanuzers can live up to 12 years old and each day shared with them will always be filled with love and care. 3 Miniature Schnauzer puppies for sale near you. The Miniature Schnauzer puppies for sale are a small dog breed that originated in Germany during the mid-to-late 19th century. The Miniature Schnauzer is a cross between the Standard Schnauzer and probably the Poodle. This is one of the most popular breeds of puppies for sale throughout the entire world. The temperament and small size attracts the attention of many people. The little Schnauzer comes in four basic colors with white not being accepted as a show dog. The other colors are black and silver, salt and pepper, and black. The Schnauzer puppies for sale will normally weigh between 12 and 20 pounds for the male and the female between 12 and 18 pounds. The height of both sexes is about the same at 12 to 14 inches. The Miniature Schnauzer has a double coat which is non-shedding. The non-shedding part may or may not be true as it depends upon each dog. When all is considered, the shedding is really not that bad and can be controlled with a good brushing. The tails of the breed are thin and short. In some places, the tails are docked. The front legs of the dog are straight and rigid. The feet or paws are almost cat-like and have thick black pads. The puppies for sale are alert, spirited, and obedient to command. 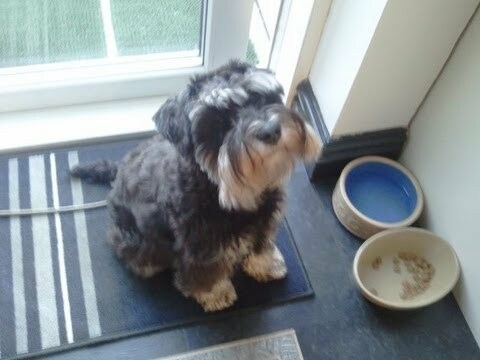 The Miniature Schnauzer is friendly, intelligent, and wants to please his owner. The puppies for sale are never overaggressive or timid. It does not take the Schnauzer long to warm up to a stranger. Training is really not a problem and they make wonderful watchdogs. When startled the dogs will lean towards just barking and will not attack. Unlike some of the other Terriers, the Schnauzer is not aggressive. The barking that they do is out of joy at seeing their owner, and a demonstration of their excitability. Proper socialization is a must with the little dogs. Though good with children, they can become bored. When small children are playing with the dog, it is important to have an adult supervising the session. Being very playful and if not given an outlet, they will be creative and establish what they want to do. The puppies for sale must have exercise, daily. Their prey drive will allow them to chase birds in the backyard or snakes in the flowerbeds. The Schnauzer may or may not attack cats. If a cat is in the yard, chances are the dog will give chase. 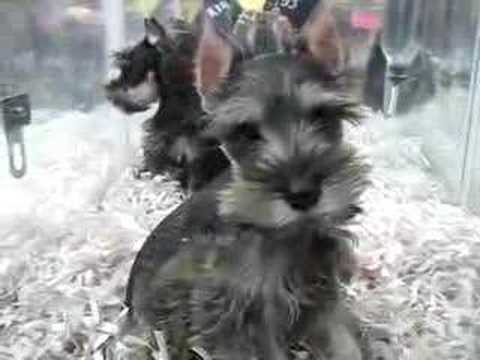 The Schnauzer puppies for sale are recognized by many showing organizations and usually place well. Some clubs will not accept the Mini Schnauzer in their competitions, but there are enough other competitions that do. Generally a very healthy breed, they may suffer health problems associated with high fat levels. Watch the diets and make sure that no table food is give to the dog. Hip Dysplasia could also rear its ugly head over the little Mini Schnauzer. 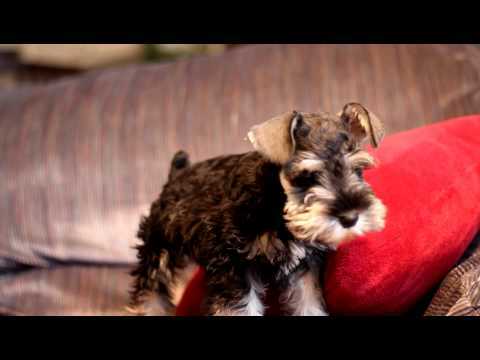 The Schnauzer puppies for sale have a specific groom cut that is pretty standard between the puppies for sale. They do require regular grooming and a clipping when needed. The dead coat needs to be stripped which is a short cut at the groomers. These puppies for sale are friendly, intelligent and an excellent watchdog; making them a perfect family dog. 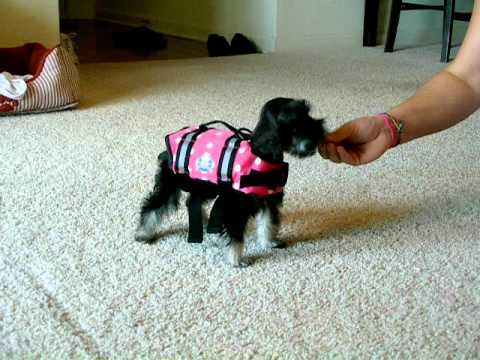 This is a nice way to make your life easier and save time searching for your Miniature Schnauzer dog’s puppy for sale. Once your email alert is put in place, all you have to do is check your emails regularly! You can create several email alerts, should you wish to do so.